Hi Folks, Ryan Choi is one of the most innovative and talented Ukulele players in the US today. We were lucky enough to get the opportunity to catch up with Ryan to hear more about his journey playing the Uke and about his plans for the future. My name is Ryan Choi. I live in Honolulu, Hawai’i, where I was born and raised. I compose and record music. I released three albums in 2016, Three Dancers (Accretions), Whenmill (Off), and Company / Arbors (Der Schöne Hjuler-Memorial-Fond), the first two of which featured original pieces for the baritone ukulele, an instrument that my name is now bound up with, somewhat to my chagrin, since I see myself principally as a composer and an arranger, as someone who makes recordings. My interests in music—and sound—extend beyond any one instrument. One day my discography may or may not reflect this. I hope that it does. A blend of the formal and the self-experimental, more the latter. I didn’t take up the ukulele until a relatively late age. Before this, I was trained in western classical music on the double bass and spent many years studying scores at the piano, reading books on theory, thinking about music and improvising, trying on mask after musical mask—I was very much in hiding during this time; then, in my early twenties, I quit music for a number of years; I never earned a music degree. My musical perspective is predicated on this peripatetic sort of background. The analogue to consider is comparing the outlook of a person who spent their childhood living in one place to that of another who grew up moving around—each would have a unique sense of what “home” is. Can you tell us about the title you selected for your second release, Whenmill? A windmill mills wind, a whenmill mills time. -What do you love most about playing the ukulele? Odi et amo: what I love lives at amicable odds with what I loathe. As a minority instrument, the ukulele is quaintly mistreated, its practitioners lightheartedly imposed upon to address its “exoticness” with questions that wouldn’t be asked of a guitarist or a pianist; one is all too frequently taken gently by the hand, sat in a box, made to be a spokesman for a whole that doesn’t exist in reality as primly as it does in the questioner’s mind. My experience of being a player of a so-called minority instrument is, at different times, mired in self-questioning political tension, willed contentment, and slavish pugnacity—it’s quite fascinating, and maddening. I marshal the phrase “minority instrument” with the utmost intent; the standard discourse in music parallels nontrivially the standard discourse in matters of culture and ethnicity, and not only in the ways in which rank and merit are meted out—both are expressions of the same preponderant pattern, one of many naturally occurring (like geological formations), current in our collective reason. What kinds of plans do you have for the future?, Any new albums or tours in the works? No tours and no plans to. I have a few things now in post-production that are coming out this year and I’m already preoccupied with the releases that will follow—some of it ukulele, some of it not—and I’m very fortunate to be so, because I’m not always so busy, and I never assume that my music won’t up and leave me again, as it has in the past; yet, even when I am in the depths of one of these miserable fallow periods—not at all touching or looking at my instruments—I still secretly shoulder the assumption that afflatus will come knocking again, even though I know this is a baseless fiction that I use to console myself in the face of sheer future uncertainty: the death of a piece (so key to its being) remains for this author a harbinger of short-lived relief and longer- lasting unease. 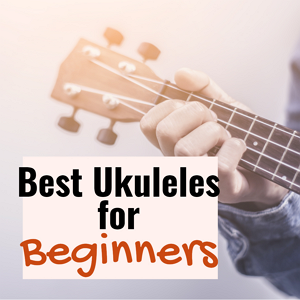 What tips and advice do you have for beginners? I’m hesitant to give tips. 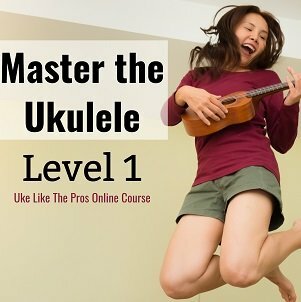 It puts me in the position of teacher to an imaginary student when I have no credentials as such, and there are so many different types of ukulele players in the world—some of whom need little to no steering and others that require extensive intervention—that to give general advice is a rather hapless exercise in diminution. Advice is most effective, and least harmful, when tailored to a specific person after one has gained some personal familiarity with the advice-seeker. With this caveat, I’ll share four things (which only happen to come readily to mind at the moment): one, don’t spend too much time listening to other ukulele players; two, don’t waste time practicing, better to spend the time engaged in the real thing; three, there are times when you must look outside of music for the solution, even if it’s only to find that there is no outside; and four, be vigilant of all confectioners of advice.